A Sassi Designs Signature design! Beautifully embroidered legs and pointe shoes adorned by a tulle skirt with ribbon rose trim. 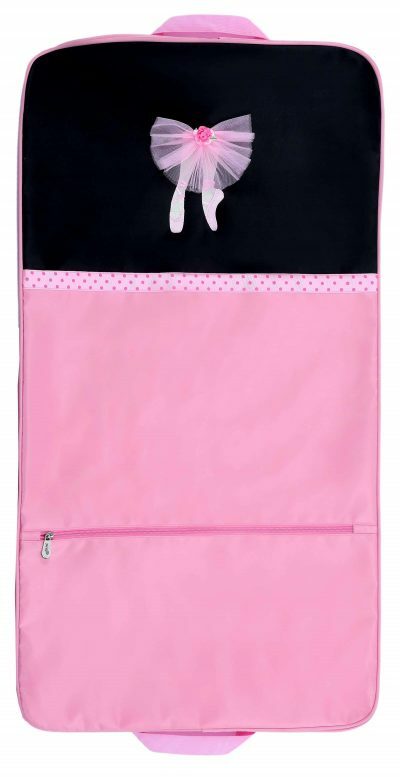 Features grosgrain ribbon trim, full width front zipper pocket & two inside pockets. Made of microfiber material that wipes clean makes it a hit with Mom’s. Comes with a Personal ID pouch and can be personalized.